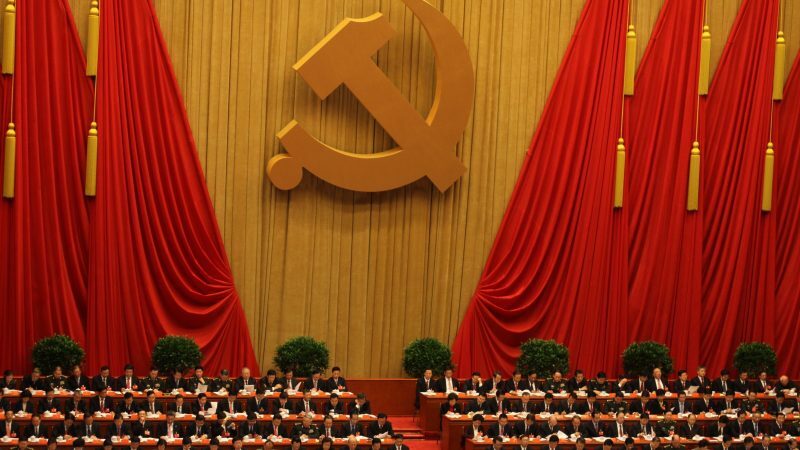 18th National Congress of the Chinese Communist Party. Photo by Dong Fang, VOA, public domain. It has been only two weeks since China's new Cybersecurity Law came into force, but its effects are already being felt across social and news media networks. On June 1, public social media accounts were officially barred from writing or republishing news reports without a permit, as stipulated by the Provisions for the Administration of Internet News Information Service. On June 7, the Cyberspace Administration of China (CAC), the country’s online censorship agency, shut down at least 60 major celebrity news accounts across Weibo, Tencent, NetEase and Baidu. The CAC said the move is intended to “proactively promote socialist core values and develop a healthy and positive atmosphere” by curbing coverage of sensationalist celebrity scandals. The new cybersecurity law has also become a point of contention for foreign technology companies operating in China. Among other things, it requires that companies store their data in China and that users register with their real names to use messaging services. Officials have yet to convey much information about how the law will be implemented, but these provisions do not bode well for the protection of digital rights. Media rights advocates and independent news outlets in Egypt are reporting that web censorship has continued to rise since authorities officially banned 21 news websites in late May, alleging that they were “supporting terrorism and spreading lies.” These websites include the Arabic edition of Huffington Post, Al Jazeera, and local independent news site Mada Masr, among others. This past week, the Association for Freedom of Thought in Egypt reported that five virtual private network sites (which help circumvent censorship) were blocked, along with blogging platform Medium, and multiple Turkish and Iranian media outlets. On June 11, the group reported that the total number of sites currently blocked in the country had risen to 64. Egypt’s Parliament will soon consider a bill that would require ride-sharing companies to keep their servers in Egypt and provide their data — which includes a digital map of customers, drivers and their journeys — to “relevant bodies” in government. Egyptian military intelligence has attempted to access the tracking software of the ride-sharing services Uber and Careem, but their requests to the companies have thus far been rejected on the basis of jurisdiction, as the companies’ servers are located outside of Egypt. Egyptian authorities have engaged in increasing levels of surveillance of citizens over the past few years, including the use of phishing attacks to gain access to the accounts of Egyptian activists (uncovered by the Citizen Lab under the moniker “Nile Phish”) and prosecuting citizens for posts on social media sites. Despite having touted his efforts to protect access to social media platforms in Iran, recently re-elected President Hassan Rouhani’s government announced that it has improved Internet control methods and shut down a number of platforms. Blogger and former university lecturer Pham Minh Hoang, who is a dual citizen of France and Vietnam, recently published an open letter stating that authorities were stripping him of his Vietnamese citizenship. The decision, signed by the President of Vietnam, is effective immediately. A member of the opposition group Viet Tan, Hoang was sentenced in 2011 to 17 months in prison and three years under house arrest for his blog posts about education and the environment. Authorities are likely to expel Hoang if the decision holds. He will be the only activist to have his citizenship revoked in modern times. Can Venezuela ban anonymity on social media? Venezuela’s National Telecommunications Commission (CONATEL) issued a statement on June 12 indicating that regulators are working on a proposal to ban anonymous speech on social media, reasoning that it has led to an untenable amount of violent and abusive behavior online. The move comes several months into a multi-pronged crisis of civil unrest, economic downturn and government repression, in which online harassment and attacks — targeting both government and civil society entities — has played a significant role. It is unclear how the policy would be implemented over platforms such as Twitter, which allow for the use of pseudonyms. Mahsa Alimardani, Ellery Roberts Biddle, Oiwan Lam, Don Le, Weiping Li, Inji Pennu, Elizabeth Rivera and Sarah Myers West contributed to this report.